Choose from a wide variety of wedding limousines in New York. Find wedding limos in New York for prices that fit your budget. Use KidsParties.Party if you are looking for limo services in NY that offer packages for teen events, such as prom, homecoming and sweet 16s. First-Class Wedding Limos in New York! With a fleet of super-clean, well-maintained vehicles, you can't go wrong with Diamond Limousine! Whether you're seeking a classic or modern look, the company has a vehicle in stock that will fit your needs. All limos are driven by chauffeurs with years of experience. With the wedding planning process being such an arduous process, transportation should be the least of your worries. That's why the professionals at Diamond Limo will provide you with the first-class service you deserve. The limo rentals are also great for proms, bachelor and bachelorette parties, birthday parties, bar/bat mitzvahs, casino trips, and other fun occasions. Diamond Limousine services Brooklyn, Staten Island, Queens, the Bronx, Manhattan, and parts of New Jersey. A luxurious ride all the way to your wedding! Everybody dreams of a perfect wedding. From the magnificent wedding place, fascinating reception hall to celebrate your wedding, and of course, elegant transportation to take you to church and to your honeymoon place. Why not have one of the best Wedding Limos in NY - New York White Star Limousines Transportation Services! Here, they offer so much more features to fully enjoy your sophisticated transportation in your wedding! Not only that, if you're looking for an affordable yet elegant transportation, you’ve already found the perfect place! New York White Star Limousines Transportation Services offers a competitive price on any of their New York Wedding Limousines fleet. They do make sure that their customers experience a unique and unforgettable wedding and through their finest and high – quality wedding. Don’t hesitate! Because if you really want to experience a sophisticated and elegant wedding, prepare it all and finish it with a limo ride to completely enjoy your once–in–a–lifetime moment. Try one of the best Wedding Limos in NY and you’ll surely have an unforgettable wedding! You cannot think of a wedding without a ride in a limo after the ceremony. 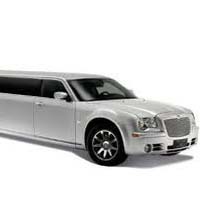 You have to select a good limo service to make sure that your marriage and honeymoon journey goes smoothly and nicely. ‘Times Square Limousine’ can be a great solution for this problem. It is one of the best wedding limo companies in New York. They provide an impressive and reliable service; you could surely expect them to be on time. There is an extra advantage. Unlike many other limos in New York, these guys will go the extra mile to make you happy. A wedding is the most important day in any one’s life. Everyone wants this day to be perfect and memorable. That’s why it is very important to select a good quality wedding limo service. ‘NY City Limo’ is a great choice for this. 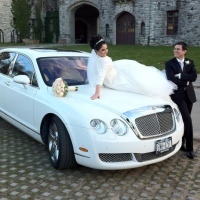 It is one of the best wedding limo services in New York. They have been serving customers in New York since 2001 with the finest in New York Limo services available anywhere. They can provide a super stretch New York style limo. They can even provide a luxury bus for large party transportation. A wedding is the most important day of our life. All of us want to make this day as memorable as possible. Even the smallest details play a very important role in the event. We should be very careful to choose them. We have to be careful to choose the right ride. 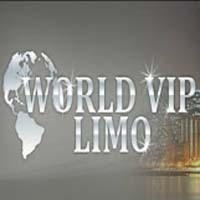 The World VIP Limo is one of the best wedding limo services in New York. They are very good at their work. Although it is your night, you can definitely rely on them to make the ride successful. They are very punctual and always maintain the time. A wedding is the most important day of our life. We all want to make our wedding memorable. 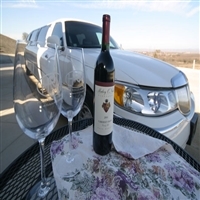 Manhattan VIP Limo can be the perfect choice for the ride. It is one of the best wedding limo services in New York. It is a budget friendly company. They are trustworthy. They know their work and they are very good at doing it. Their service is very punctual. They always maintain time. 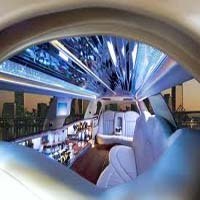 For over two decades they have been considered the leaders as well as the innovators in the limousine industry. They are really a good choice for your wedding ride. A wedding is a life changing day in our life. We all want to feel special on this day. To make the day more special it is important to book a good quality limo service. Diamond Limousine can be a good option for this. It is one of the best wedding limo services in New York. They have high-class vehicles that are guaranteed to be showstoppers. They provide an impressive and reliable service. They are very much punctual. You could surely expect them to be on time. Their service will definitely go beyond your expectations. One of the most important parts of the wedding is the ride. It has to be appropriate. 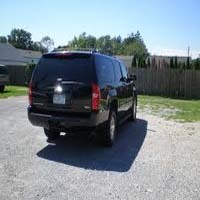 A good wedding limo service plays a very important role in the event. We should be very careful to choose it. ‘Romantique limousines’ is one of the best wedding limo services in New York. They understand the significance of the wedding day. That is why they put their full effort to make your ride as smooth as possible. They are punctual, reliable, budget friendly and trustworthy. They will make sure that the ride of your wedding fulfills your expectations. Managing a wedding can be really stressful. Every single thing has to be taken care of. It feels so good if one or two things can be managed by others. In that case you can fell free about the wedding limo service. There is one good quality wedding limo service named ‘Grayline Limousine’. It is one of the best wedding limousine services in New York. They have provided professional services in travel transportation and event planning for over 15 years. You will find special elegance in their service. They provide different kinds of cars so you can choose per your convenience. 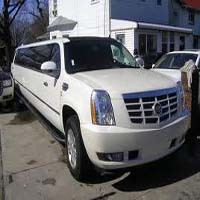 'All County Limousine' can be categorized as one of the good wedding limo services in New York. It is a personalized transportation service which provides you special care. They are known for their high degree of responsibility, care and style. They know the specialty of your wedding day. They know this day’s importance. They know how much you want to make everything perfectly all right. They know their work and can make you tension free about the ride. 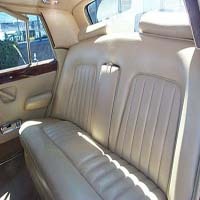 Their limousines are new Lincoln Town Car stretches and SUV's with open bar, soft drinks, TV and DVD player and CD player. We start a whole new journey of life from after a wedding. It is such a big day for everyone. It is not a day to worry about your transportation. You can completely rely on The Original Black Tie Limousines. It is one of the best wedding limo services in New York. They offer their clients more than just luxury limousines; they make you relax about the ride. Because you will know you are taking service from a well-known company that is famous for their courteous, prompt, and wonderful service. The drivers are amazing and ensure that your service is smooth. 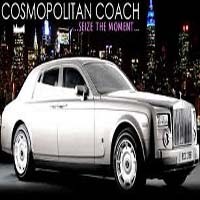 Cosmopolitan Coach Inc can be categorized as one of the best wedding limo services in New York. 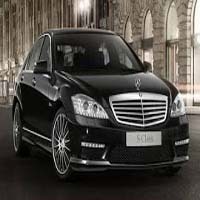 This company is well-known for its distinctive and high quality limousine service. They know how important the wedding day is for you. That is why they try their best to make the ride as hazard free as possible. They are famous for their professional, courteous and friendly service. Their cars are new, good looking and very clean. They are also fully stocked with sodas, water, wine, and champagne. They are very good at their service and surely make you happy.